Very similar to red-necked stint, but with a longer, less stubby bill; in breeding plumage it lacks the rufous chin of that species. 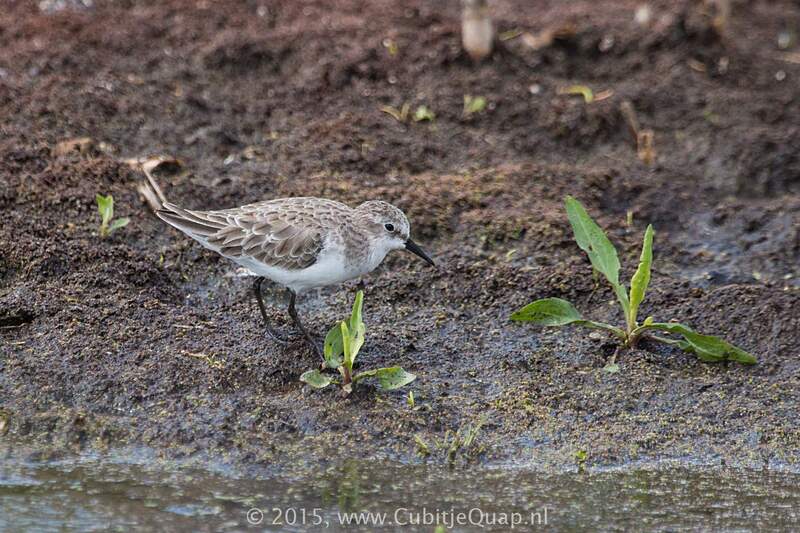 Temminck's stint has olive, not back, legs, plainer upperparts and white, not grey, outer tail feathers. 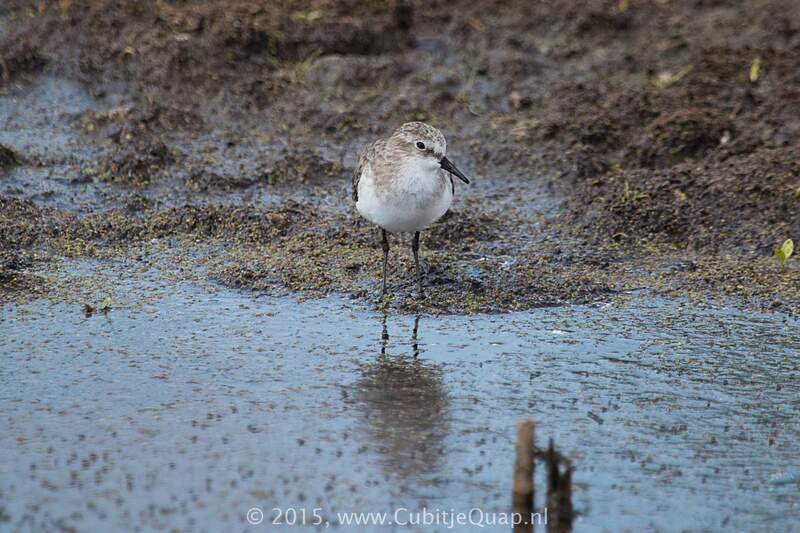 Long-toed stint has darker upperparts, a thinner bill and greenish yellow legs. 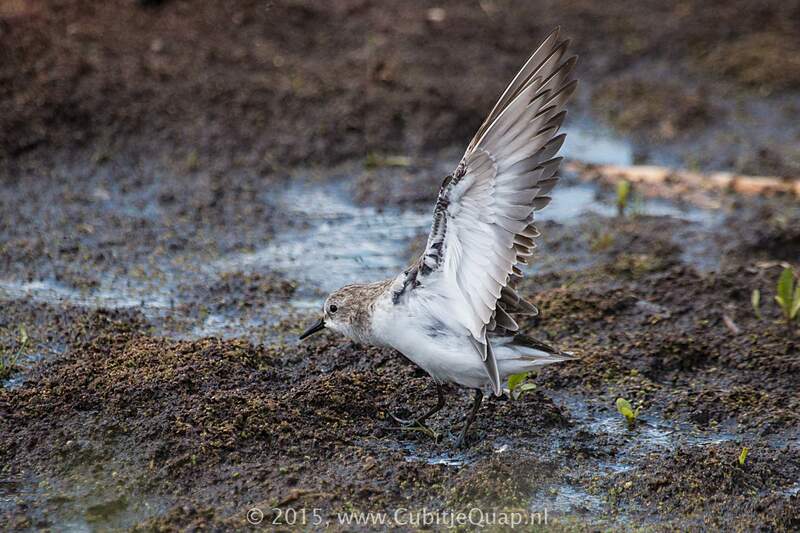 Broad-billed sandpiper and dunlin have longer bills that droop very slightly at the tip; the former shows a dark shoulder at rest. The narrow white wing bar and the white sides to the rump are obvious in flight. Juvenile resembles non-breeding adult but colouring above is warmer. Coastal and freshwater wetlands; typically forages in flocks and has very rapid feeding action.